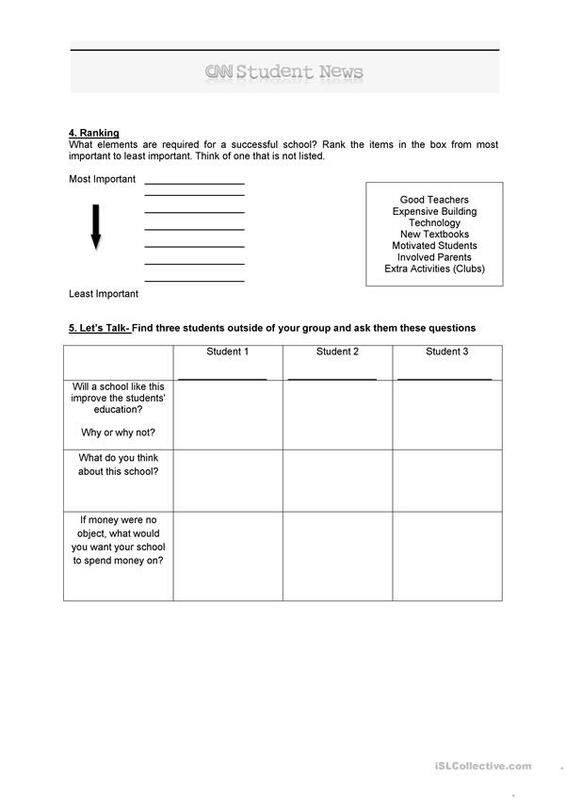 This worksheet was created to go with the CNN Student News for Aug 25.There is vocab, a listening gap-fill, ranking and speaking activities. This downloadable teaching material is a great resource for high school students at Pre-intermediate (A2) and Intermediate (B1) level. It can be used for honing your groups' Listening, Speaking and Reading skills. smason is from/lives in United States and has been a member of iSLCollective since 2010-08-19 01:15:21. smason last logged in on 2010-09-07 02:56:49, and has shared 3 resources on iSLCollective so far.